Before heading out to hike that mountain peak, read these titles from our digital collections. 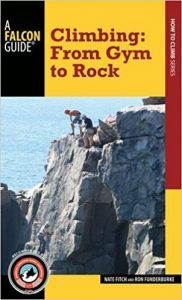 Climbing: From Gym to Rock is a pocket-size instructional climbing book with the backing of the American Mountain Guides Association (AMGA) that focuses on getting indoor climbers outdoors. The book will feature information on environment and terrain, types of crag, best practices, and more. Photos will be throughout. 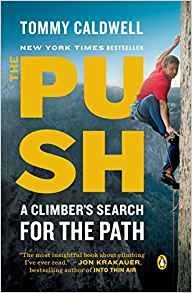 This engrossing memoir chronicles the journey of a boy with a fanatical mountain-guide father who was determined to instill toughness in his son to a teen whose obsessive nature drove him to the top of the sport-climbing circuit. 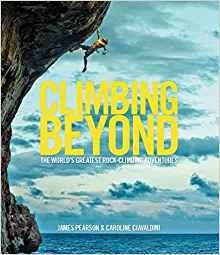 Caldwell's affinity for adventure then led him to the vertigo-inducing and little understood world of big wall free climbing. But his evolution as a climber was not without challenges; in his early twenties, he was held hostage by militants in a harrowing ordeal in the mountains of Kyrgyzstan. Soon after, he lost his left index finger in an accident. Later his wife, and main climbing partner, left him. Caldwell emerged from these hardships with a renewed sense of purpose and determination. He set his sights on free climbing El Capitan's biggest, steepest, blankest face—the Dawn Wall. This epic assault took more than seven years, during which time Caldwell redefined the sport, found love again, and became a father. Thomas and Alexander Huber rank as two of the best mountain climbers ever. 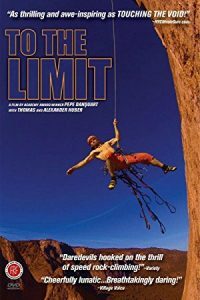 Now the brothers set out to break the record in speed climbing the 2,900 foot sheer cliff known as 'The Nose' of El Capitan in Yosemite Valley. Extreme sports don't come any more extreme than speed rock-climbing. In their attempt to set a world record, the Hubers compress a three-day ascent for regular climbers into less than three hours. Intensive practice and split-second timing are required, and one false step can bring fatal disaster. Featuring breathtaking footage of the mountains of Patagonia and Yosemite National Park, Academy Award® winner Pepe Danquart (Hell on Wheels) follows the Huber brothers to locations never before reached by a film crew, capturing two competitive brothers who go to the very edge.